realisation of her designs by master craftsmen. 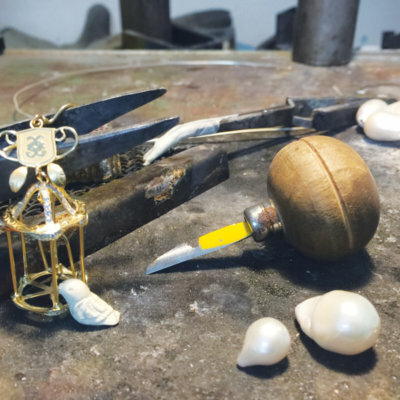 Working in this way permits Géraldine to show her respect for craftsmanship, for artists and for traditions. grandmother, it is no surprise that she found a match in the land of ‘la dolce vita’.